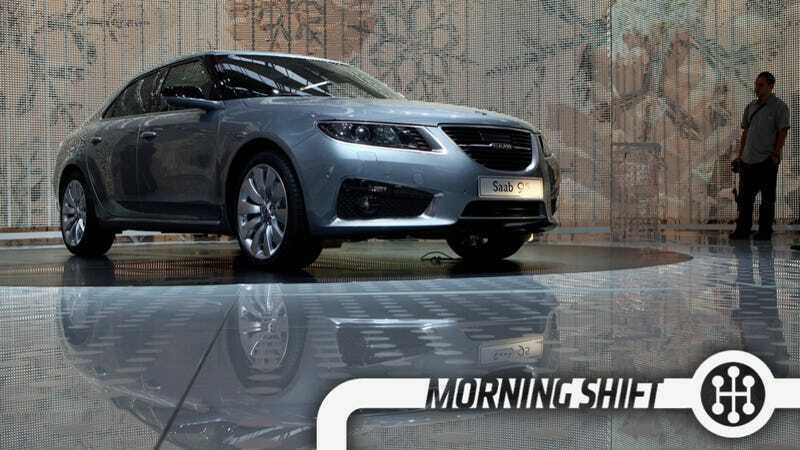 1st Gear: Seriously, Is Saab Cursed? Now Automotive News reports that NEVS — Saab's Chinese owner — is seeking partners to help them "to secure a long-term financial structure and help us to solve our short-term financial challenges." China continues to crack down on European car companies for being expensive (i.e., for being European car companies). Anti-trust regulator, the National Development and Reform Commission (NDRC), launched an investigation into the auto industry following domestic media complaints that foreign carmakers were overcharging Chinese customers for vehicles and spare parts. The Xinhua report, which cited regulators, made no mention of possible penalties for Mercedes. The regulator can impose fines of up to 10 percent of a company's China revenues for the previous year. Yes, and if you individually buy all the parts for a MacBook Air do you know how expensive that would be? This is a curious case and I can't quite figure it out. A woman says she suffered "third-degree" burns because the seat heaters in a Chevy Suburban she was in were too hot. This sounds scurrilous, but the woman is paralyzed and had no feeling there. GM denied that the heater was defective or this was even possible. I have no strong opinions other way, but I'm curious. In what manages to be good PR, good legal advice, and just good corporate leadership Mary Barra has sent letters to most of the owners of cars in the ignition recall urging them to get their cars fixed. One letter went to more than 1 million owners who had not ordered parts through their dealer or online. A second went to about 875,000 owners who had placed parts order, but hadn't gotten cars fixed. Letters included information about the compensation fund for victims and families harmed by the defective ignition switches. At least 13 deaths are linked to the defect. The fund began accepting claims Aug. 1. More like this, GM. More like this. Magna is the biggest auto supplier in North America, but it's founder didn't like debt and so they found themselves in a situation where they could have possibly grown through acquisition. ''If we did something that really made us a world leader in four or five different product categories we're not today, something in the eyes of the customer that would say, 'Boy, we really want to give them business now because they're so good,''' that would be transformational, he said. Reverse: But He Didn't Drink Any Milk!